Muffins are a kid-favorite food and if you’re looking for a kid-friendly way to amp up your kids’ protein intake, these pumpkin chocolate chip protein muffins are just the fix! What I love about this recipe is it’s made with protein powder and almond meal so they’re both gluten-free and a good source of protein. 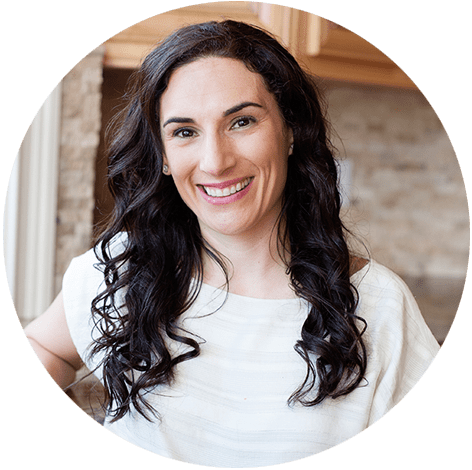 They are healthy muffins for my kids that I like to make at the beginning of the week, store them in an airtight container or freeze your muffins and use for breakfast or afternoon snack. Before you make these protein muffins you should know that it’s a good idea to start with a high-quality protein powder that DOES NOT contain whey. While whey protein goes great in smoothies and shakes, it’s not a good idea for baked goods especially muffins, brownies, cupcakes, etc. The result is a hard, dense unedible thing and that’s no bueno. I recommend an all natural pea protein. The recipe also calls for 1 cup of pumpkin puree and you know what that means? You’ll have about 1/2 cup of extra pumpkin puree on your hands, so here are a few ways to use up those pumpkin leftovers, that is, if you don’t want to freeze it. No pumpkin puree in the pantry? No worries, sub it with 1 cup mashed bananas and you’ll still have some incredibly moist and delicious muffins. 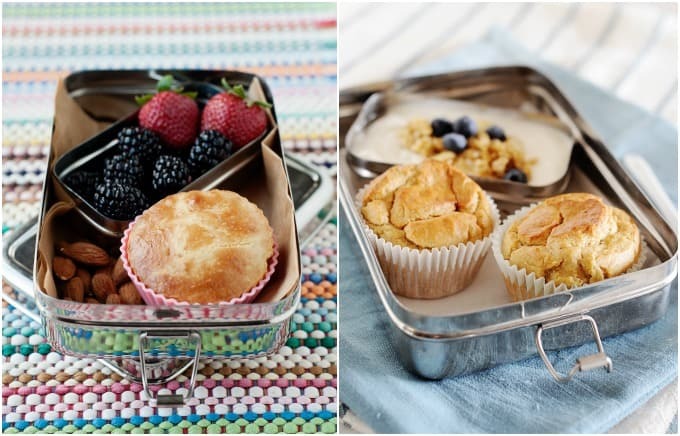 As much as we love muffins for breakfast, they taste just as amazing for LUNCH! 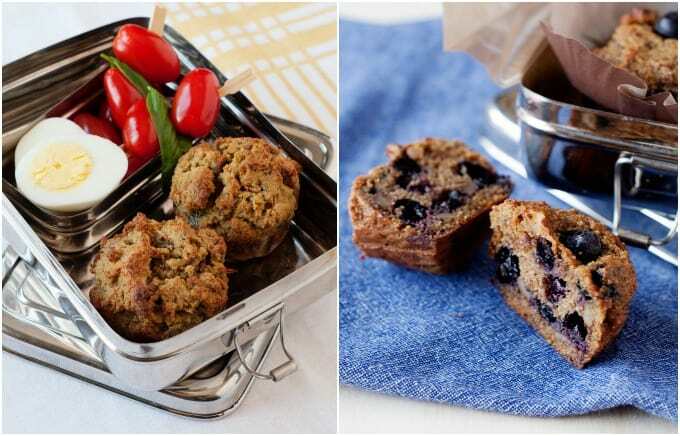 And any of these healthy muffins are perfect for a quick breakfast, snack, and lunch. If you need more awesome and simple lunch ideas like this one, check out this week’s Classic Meal Plan Menu Our members love that it simplifies the whole meal planning and meal prep by using a simple, 5-day menu and complete shopping list. So make sure to grab a sample here. Alright, I won’t hold you back any longer! It’s time to bake! What are some of your favorite ways to get more protein in your day?